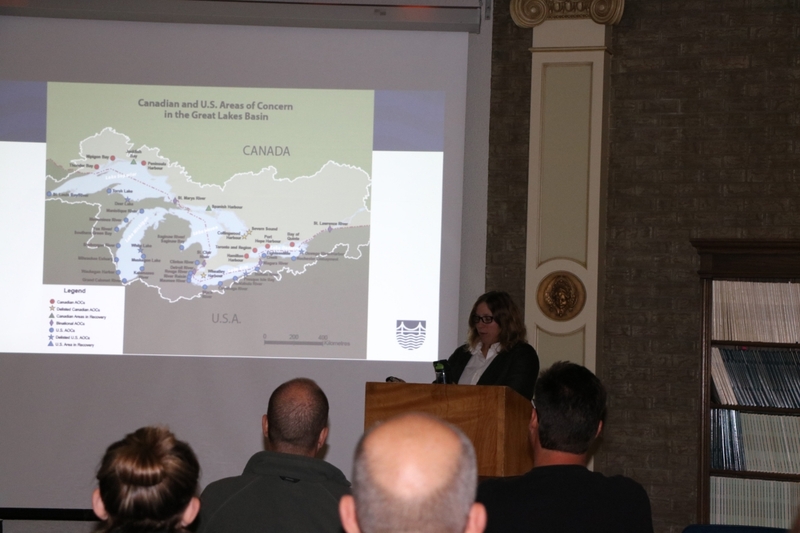 The Detroit River Canadian Cleanup (DRCC) hosted their 6th Annual Detroit River Evening on Wednesday, October 26, 2016 at the Great Lakes Institute for Environmental Research (GLIER). 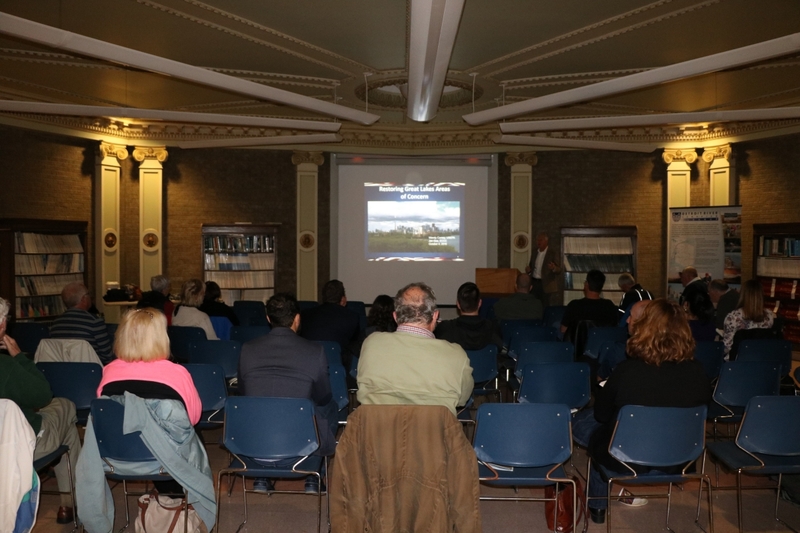 The Detroit River Evening is a free, public event to highlight the coordinated efforts to improve the Detroit River and remove it from the list of Great Lakes’ Areas of Concern. 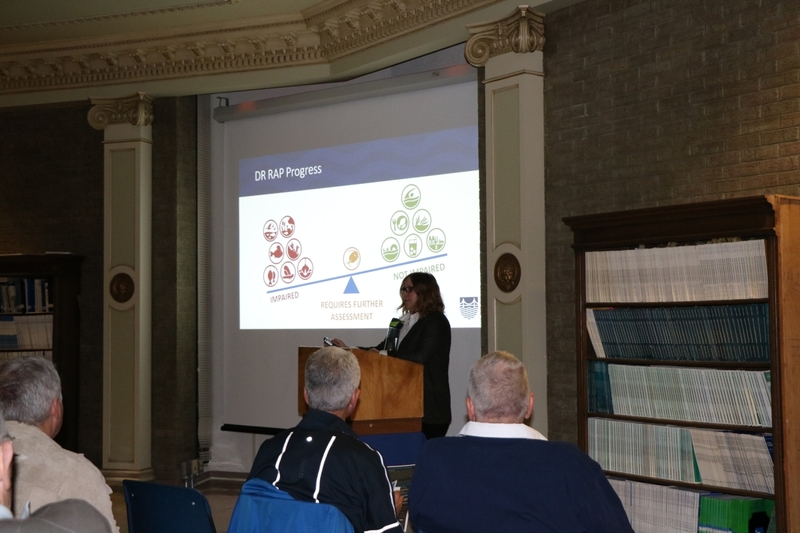 Guests learned about some of the current research projects aimed at protecting, restoring and enhancing the Detroit River ecosystem! 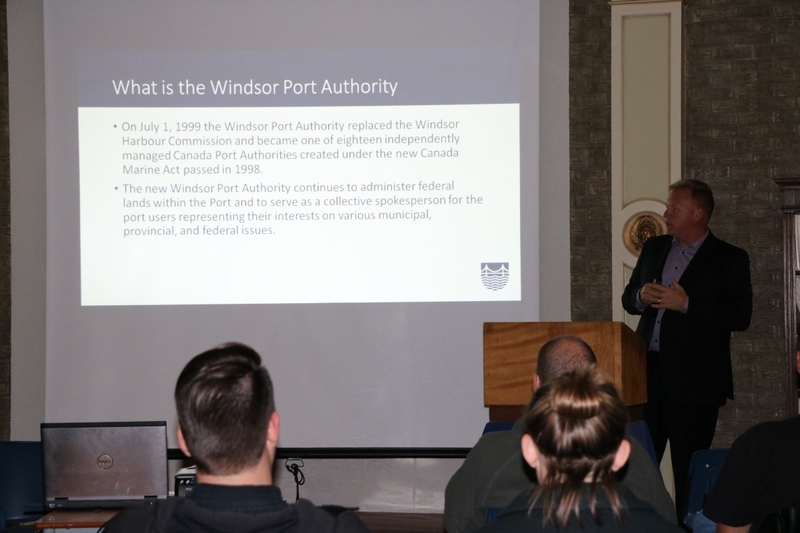 The DRCC welcomed Peter Berry, Harbour Master of the Windsor Port Authority who gave a presentation on how industry can work in partnership with the environmental community on green projects both on the shore line and in the river. 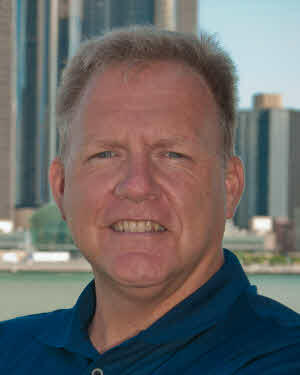 Peter has been a member of the Detroit River Canadian Clean Up for the past seven years during his term as Harbour Master. 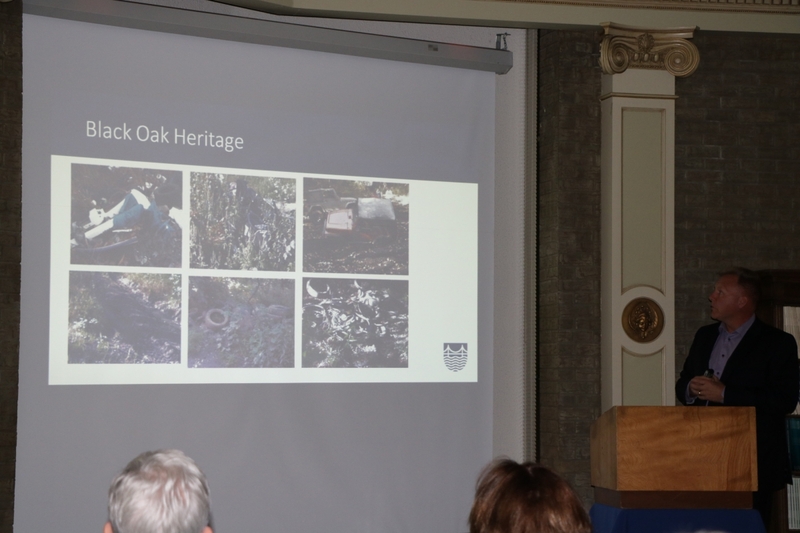 He has been active in the partnering of fish habitat and shore line restoration projects with commercial operations in addition to leading numerous shoreline and community clean ups. 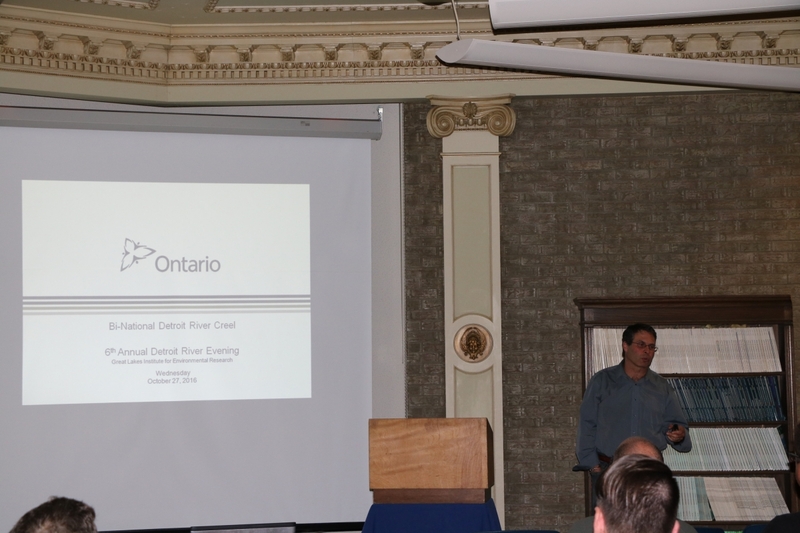 Project highlights also included presentations on the Creel Survey from Richard Drouin, Lead Management Biologist, Lake Erie Management Unit, Ontario Ministry of Natural Resources and Forestry. 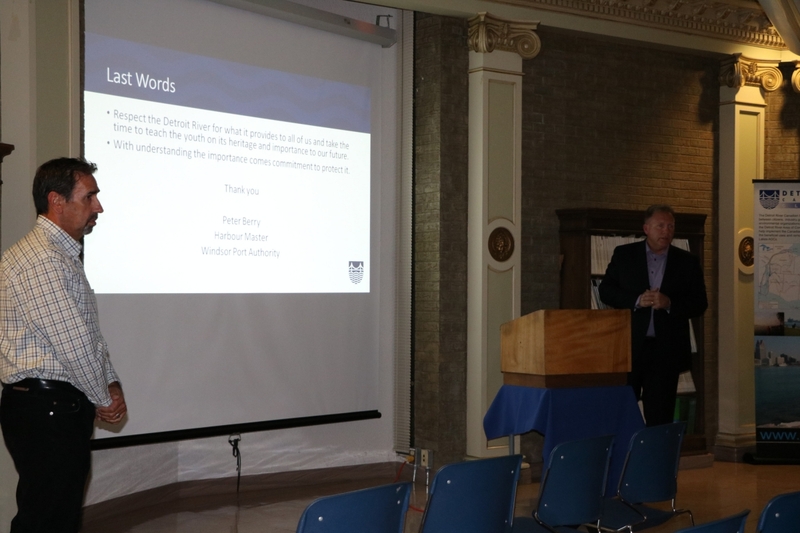 Also Jon Gee, Manager, Great Lakes Areas of Concern, Environment and Climate Change Canada presented information about the Great Lakes Areas of Concern. 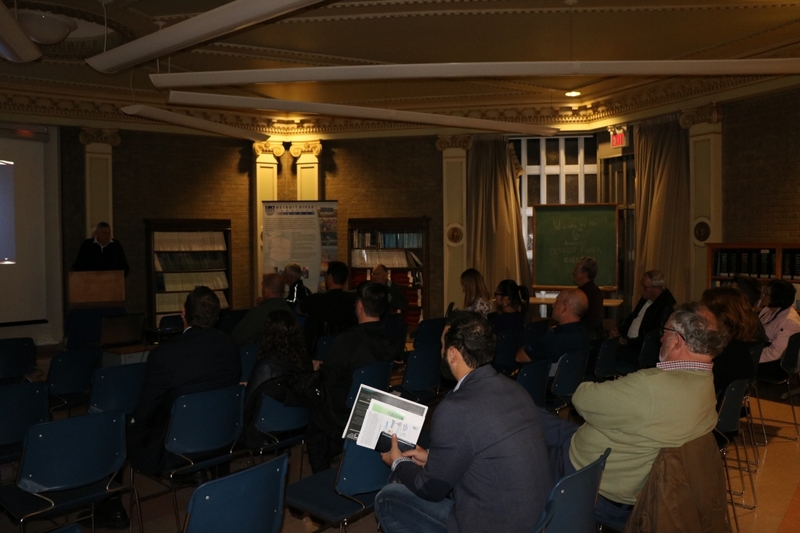 Last, Tom Henderson, Chair of the Detroit River Public Advisory Council provided an update on work that is being done by the PAC. 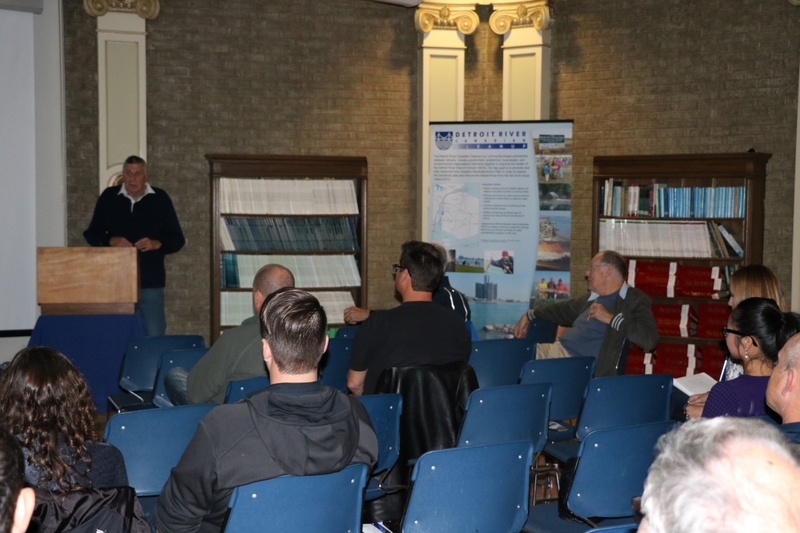 The DRCC would like to thank all of the attendees for coming out to celebrate the Detroit River Evening as well as the Great Lakes Institute for Environmental Research for providing the venue! 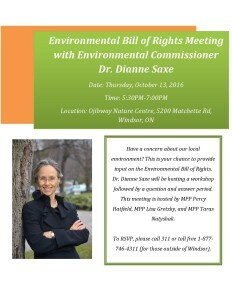 Event this Thursday October 13th 2016: Ontario’s Environmental Commissioner, Dr. Dianne Saxe is coming to Windsor to talk about our local environment and discuss the Environmental Bill of Rights. 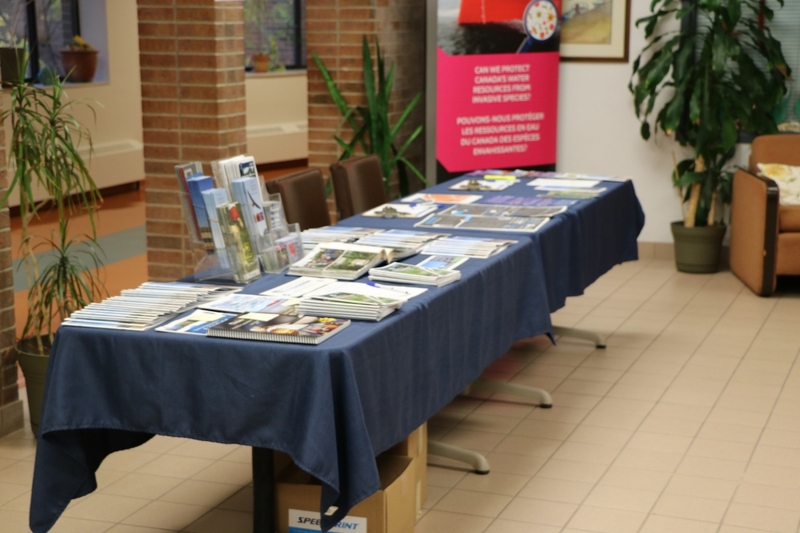 This event takes place at Ojibway Nature Centre from 5:30pm to 7:00pm, please RSVP call 311 or toll free: 1-877-746-4311. 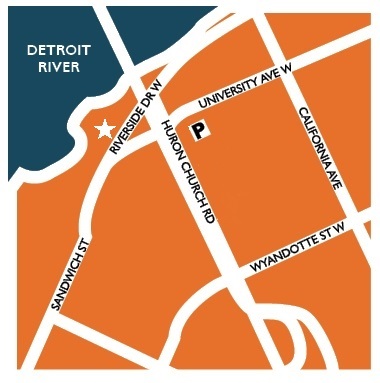 See poster for more details.